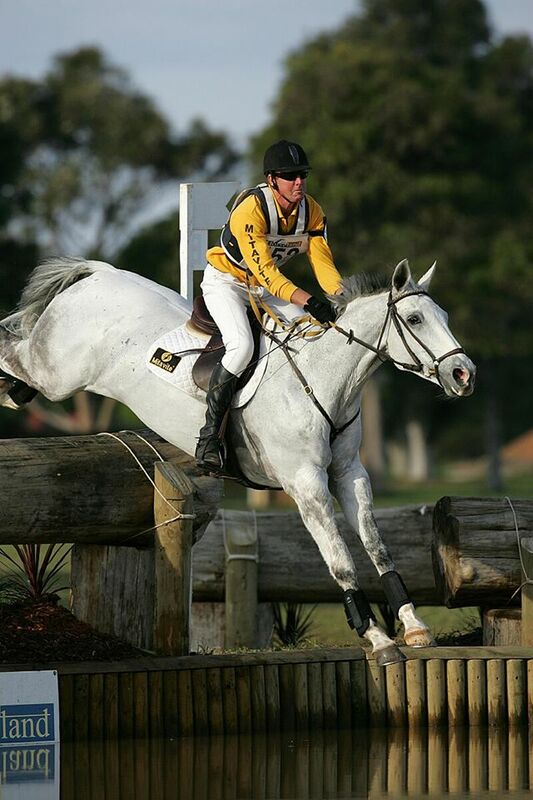 Scott Keach has had a prolific career at the top level of equestrian sport, and his journey to being an Olympian has taken two distinct paths; Originally a member of the 1988 Australian Olympic Eventing Team, Scott switched to pure show jumping in 2011 – again being selected to represent Australia 28 years later at the 2016 Rio Olympics! Scott grew up on a cattle and sheep farm that his family owned in South Australia and his initial exposure was with working horses. His Mom taught pony club and enjoyed dressage, while his Father did a bit of fox hunting and competed in show jumping. Scott rode his pony in every discipline, but he loved to compete in the pony jumpers. He began to event as a teenager, participating in the Australian Young Riders before representing his country at the 1986 WEG in South Australia, where they achieved team bronze. He then made his way over to the US to train with twice world champion Bruce Davidson during the winter of 1986 and the summer of 1987. In 2007, Scott sent two of his horses over to the states and began to train alongside good friend and international show jumper, Sharn Wordley. He continued to event, but he also acquired new clients who had a focus on show jumping, and this marked Scott’s return to competing in the jumper ring. By 2011 he had transitioned to competing full time in the Grand Prix arena. His career in show jumping has resulted in multiple FEI 5* podium finishes at top competition venues including WEF, Spruce Meadows, Split Rock, HITS Ocala & Saugerties, The Kentucky Horse Park and at the Nations Cup in Barcelona. 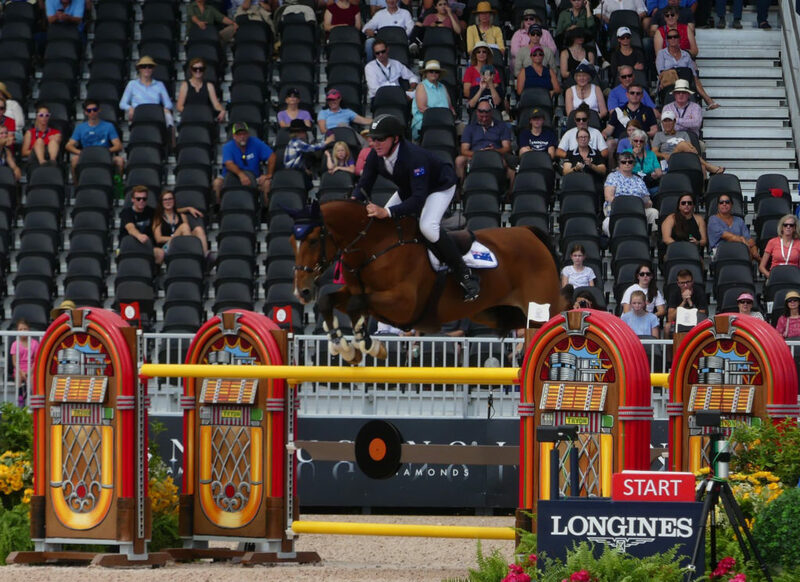 Although Scott’s current competitive endeavors are focused on show jumping, his vast knowledge in eventing has also made him a secret weapon for many top international event riders. Based out of Southern Cross Equestrian in Ocala, Scott has carved out a solid niche coaching many of the best upper-level event riders who spend the winter months training in that region. His client list includes Jennie Brannigan, Clark Montgomery, and Lauren Kieffer – and his influence over their show jumping style is punctuated by Scott’s trademark “heads up” position over the jumps. Scott’s return the Olympic level is an accomplishment punctuated by a notable 28-year gap, a statistic that has been claimed as a record in Australia. He has solely produced his top horse, Fedor, up to the Grand Prix level and competed him at the 2016 Rio Olympics, and most recently at the 2018 WEG in Tryon. His return to the Olympics in 2016 was thwarted by a terrible pelvis injury in the final months leading up to Rio, but he battled back by being selected for the 2018 Australian WEG team. Although Australia finished out of the medals at the WEG in Tryon, the team’s solid 6th place finish has secured their spot for the 2020 Olympics in Tokyo! Fedor (aka Stanley) remains the Kingpin in the barn, but Scott has six other talented Grand Prix competitors that he is campaigning at the highest level of this FEI sport. Five of these horses he has developed entirely up to the Grand Prix level while in his barn. Without a doubt, he will continue to focus on the next Olympic games with Fedor, Born to be Picobello Z and Maraca LS LA Silla. He also has some serious talent developing in his string of younger horses with Chicco W, Vitel Sourdin and Falcon de Hus Z. With Scott Keach and many of the globe’s top riders wintering in Florida, the level of competition at Winter Equestrian Festival (WEF) is world class. 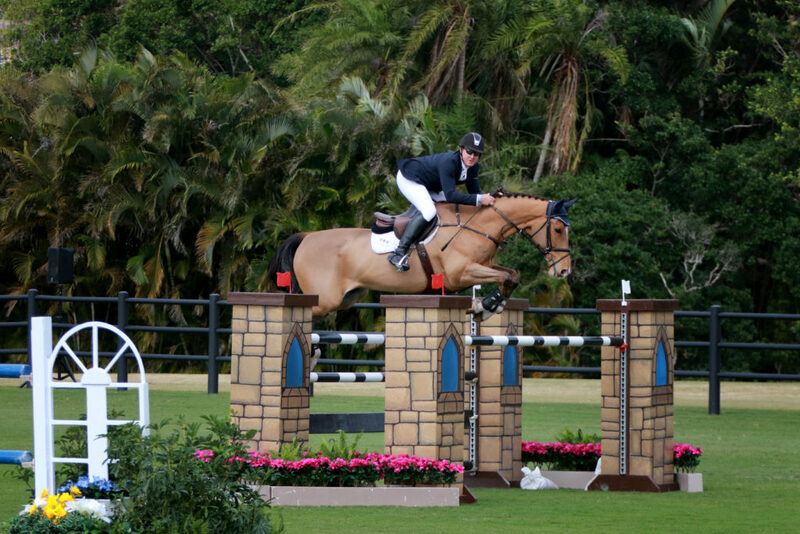 We hope that you will join us this season at the Palm Beach International Equestrian Center for a thrilling line-up of competition which runs January through March 2019. Brianne Goutal-Marteau: Grand Prix Competitor and Mother Extraordinaire!